DC Entertainment is still going forward with its superhero movie focused on Justice League member The Flash, and we finally know what the comic stories the movie is looking to draw from. At San Diego International Comic-Con 2017 this weekend, DC laid out where it’ll be taking Flash when he shows up in his own movie: “Flashpoint.” The epic time-travel crossover comic story was a major event in the DC Comics universe, resetting the timeline for everyone from Batman to Superman and Wonder Woman. But if you’re not familiar with DC’s comic stories, you probably have no idea what “Flashpoint” is all about. Here’s everything you need to know about Flash’s time-traveling escapades, and what might wind up on screen. “Flashpoint” is an alternate timeline. The first thing you need to know about the Flash is that he’s capable of moving so fast, he can actually go back in time. 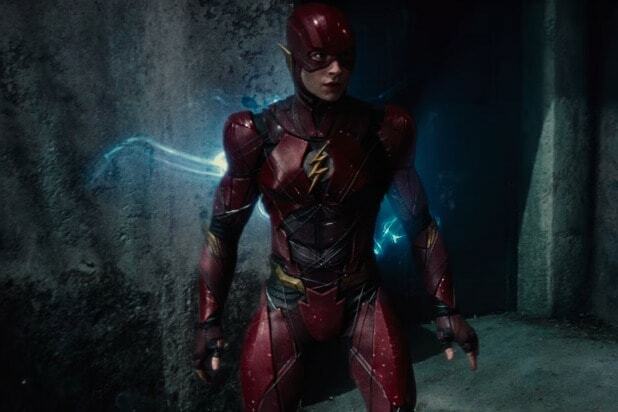 In the DC Comics (as well as the WB “Flash” TV show), Flash draws power from an invisible energy called the Speed Force, and when he moves fast enough, he can actually leave the time stream and enter and exit the Speed Force. Effectively, it means that when Flash moves fast enough, he can travel through time. Also essential to understanding “Flashpoint” is a bit of backstory for Flash alter-ego Barry Allen, which also appears in the TV show. That information is that when Barry was a child, his mother was killed. In the show, Barry didn’t understand what he was seeing, but he later comes to understand: The death of his mother was actually a fight between Barry from the future and the supervillain Eobard Thawne, known also as Reverse-Flash and Dr. Zoom. Barry’s mother’s death is one of the essential elements that leads Barry down the path of superheroism, and Thawne’s motivations in making the event happen are a whole thing also — he’s a Flash fan from the future who came back to make Barry into a “better” superhero by messing with his history. Eventually, Barry decides to go back in time and save his mom. Doing so messes up the timeline, and “Flashpoint” is the story that takes place when Barry winds up in an alternate present. It’s kind of like when Biff steals the Sports Almanac in “Back to the Future II,” leading Doc Brown and Marty McFly to an alternate, Biff-run 1985. There are a ton of major changes that occur in the “Flashpoint” timeline because of Barry’s actions in the past. For one thing, there is no Justice League — or Flash, for that matter. And Wonder Woman and her Amazons are fighting a massive war against Aquaman and the Atlanteans, one that claims millions of lives and threatens the entire world. Things are so screwed up that Batman (Thomas Wayne, Bruce Wayne’s father, who took up the cowl after his son was killed), Cyborg and a weakened Superman help him try to restore history. 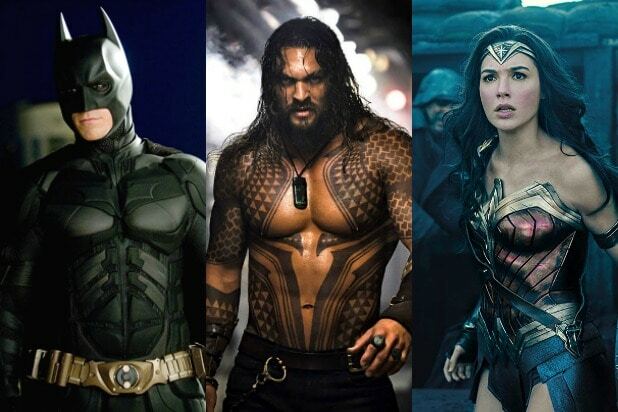 There’s the usual banding together of superheroes, but notably, Wonder Woman and Aquaman are not great people and clash with the heroes as they war with each other. Since “The Flash” isn’t due out for a few years yet, it’ll come after “Justice League” and “Aquaman,” giving it lots of space to set up weird alternate timeline stuff. We’ll have to wait and see whether “The Flash” kicks off a massive reboot of the DC Extended Universe like it did with The New 52, but that seems less likely, given the fact that DC Entertainment will likely have individual movies for all of its Justice League heroes by then.